If you get a depressing critique from someone with quite different reading tastes, or from someone who is not qualified to judge your writing, what then? You’re stuck trying to figure out whether you’re being too sensitive–or whether their opinions on how to fix your manuscript are off-base. There are no guarantees in life (or in writing), but you can take practical steps to avoid some of the common pitfalls. It can be thrilling to finish a first draft. You want others to read it. You want some praise. You (think you) want to know how to improve it. But getting a critique on a first draft is bound to lead to disappointment. By their very nature, first drafts are rough and unimproved. Take the time to do revisions and editing before seeking opinions. The more rewriting you do first, the less it will sound like everything you wrote needs to be fixed. “The art of writing is in the rewriting.” A popular quote among writers, but it’s more than just a quote. It’s really true. If you’re unsure of what the process involves, take a class or buy some books and teach yourself how to revise your work. Once you start seeking critiques, you’ll have to do rewrites based on the suggestions your readers give you. So learn that part first, apply it first, and then you’ll be ready when the time comes to do even more rewriting. If you don’t sort this out before you give your manuscript to other people, you may get the kind of feedback you don’t want or that you’re not ready for. Some beginner writers have a rosy fantasy about getting feedback from others on what they’ve written. But reality doesn’t always match the happy fantasy (especially if what you’re secretly hoping for is compliments). If you’re not really ready, you can get hurt and even have your passion for your story destroyed. 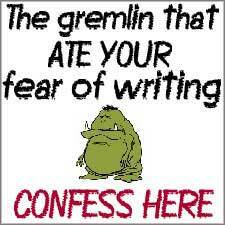 This can lead to fear of writing or writer’s block. Being clear about your goals before you seek a critique can help you avoid unnecessary pain. It’s even a good idea to write down your goals. That way, you can share them verbally with your reader without falling into people-pleaser mode. Family members may not be qualified to critique your writing. They may fall into one of two extremes: either afraid to hurt your feelings or eager to show you how it should have been done. Unless your mother or uncle is an editor, a writing teacher or a writer with experience—or unless you can be very clear about setting some parameters—family members may not be your best option. On the other hand, sometimes a non-writer can be exactly the right reader for your needs. A non-writer can give you their perspective as a reader (someone who buys books because they love to read) rather than getting bogged down by the rules and opinions of the craft. 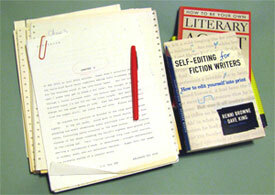 Other writers can be helpful and “beta” readings have become popular. This is where writers exchange manuscripts in order to give each other feedback on what can be improved. If you enjoy mutual trust with your beta buddy, this can really work. If you don’t have a buddy you already trust but you’re considering a writer in your social circle, first look at what you already know about this writer. Does he or she have more experience than you? 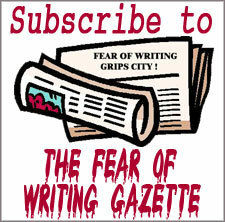 Been published or blog on a regular basis? Have you seen examples of his/her writing standards? Do you know anyone else who got a beta reading from that writer? What did that person say about the experience? When you have strong trust in your own creativity, it’s easier to discern between good and bad advice. Even good advice may sometimes not be right for your story. The more you develop your own instincts for what works, the more you’ll know who to listen to when it comes to advice on what you’ve written. The way to develop that much trust in yourself is to write as much as you possibly can. Write the good, the bad and the indifferent. The more you write, the more you’ll know what to keep, discard or rewrite when you’re in the revision stage. This will increase your self-confidence. With more self-confidence, you’ll be less desperate for approval (a compulsion at the heart of many off-kilter critique experiences) and you will then automatically make better decisions about whom to seek advice from. Another way is to read as much good literature as you can. 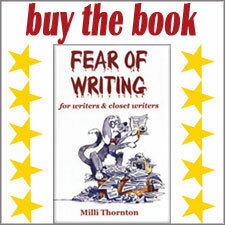 You’ll soak all that good writing into your subconscious mind, and this will help make you a better writer. Any piece of writing can be endlessly edited and “improved.” And who is really the final expert on how your manuscript should read? 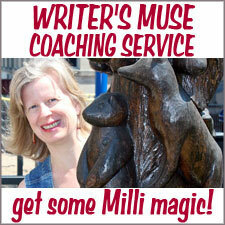 There is no magic formula for surviving the perils of writing advice. But becoming aware of the pitfalls (and how to avoid them), and developing a strong trust in your own creative instincts, can help you weather this challenging part of being a writer. This is very sound advice that I will keep and treasure. Even though I have wonderful feedback on the course from yourself and the A team I can totally relate to the fact that we want someone to read our work. I have a friend who is a Ceramicist and very creative who I occasionally have been forwarding my stories. I feel safe with her and she is not really a reader but found my stories to be good. The tip about rewriting and checking is very good too. When I read my story aloud I hear the mistakes I have made so to just keep on being diligent about it. Also getting books or watching videos about rewriting your own stuff will be beneficial. Writing goals and expectations are essential to register within me in order to not be crushed. 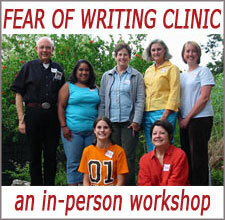 Yes being wise about who to give your writing is another very important tip. I find your statement that being confident about your writing helps you to be a better discerner is going to need some work. So I will need to write more and more, end of story. I look forward to trusting my creative instinct more and more. I’m happy you found this article helpful. It comes from too many painful experiences I had myself because no one advised me about this. I kept hitting my thumb with the hammer so many times I’m amazed I didn’t learn sooner. 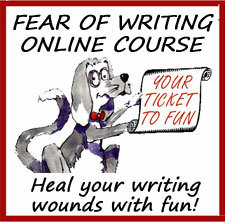 There was eventually a silver lining and it led to something good: I wrote a book about fear of writing, which resulted in the online course you’re taking. If I can save other writers from going through that with a little education at the right moment, all my messed up experiences with being inappropriately critiqued will be worth it. You’ve come to the conclusion that to gain more confidence (and, thus, be more discerning) you just need to keep writing. That’s the healthiest way to look at it and I’m very glad you see it that way. So many things about writing are solved by just doing more writing. There is so much wisdom in this lesson, that has clearly been forged in your own experiences. Each paragraph, like a sign post along a path, leading us away from emotional danger, onto a more prudent road—a path that will lead to us being built up rather than being torn down. The first line reads “When you have strong trust in your own creativity…develop your own instincts.” For me this is the bottom line! Keep going, keeping writing and growing in instinct. Thank you for these signposts, they have prepared a safer journey for me. I’m glad to know this advice felt timely for you. I tried to place this lesson at a point in the grad course where I felt students would be ready to hear it and understand its intent. Your article brought back to me the proposed book on Preceptorship myself and some colleagues were planning to write, which was rejected outright at the very first hurdle. We had submitted an outline on the proposed content as advised. Your first key point spoke loud and clear to me: don’t hand over your manuscript/outline too soon. I can see we did this, probably because we had been actively working on the research, which was going to be the basis of the content and message we wanted to convey. I can now see clearly the real value and sense of writing and rewriting. Being clear about goals and expectations are key I can now see, because in that we would not have been derailed, which caused us to give up without a peep! Being careful who we chose is another key we messed up on and only went to one publisher. Learning to trust myself was also key, which of course I didn’t. I know what we were offering could have had impact but faltered through not trusting myself or one other in the team to press through. We just dropped it! Awareness being more blissful than ignorance is also key. I can see now how professional rivalry and jealousy played a part. If the outline was that bad some feedback could have been offered, but it was not and we didn’t pursue that. Great tools, Milli, and I can truly relate to each one of your key points. I now need to just develop the art of allowing them to become part of my inner core as a writer and unlock each key at the right stages of the process. I’m glad this article was helpful in reviewing what happened when you submitted your outline to the publisher. The successful people in life advise that they often learn more from failure than they do from success, but it’s difficult to learn from a failure unless you have the keys you need to understand where you went off track. It sounds like you’ve internalized these keys with deep intent, and next time you’ll be able to prepare more thoroughly. I wish you every success!